When it comes to the bridal jewelry, the range is massive. And, needless to say, choosing one among them is quite a difficult task for the bride. Necklaces are the most widely chosen ornament for the bridal look as it can change the entire look of the bride and her bridal attire. 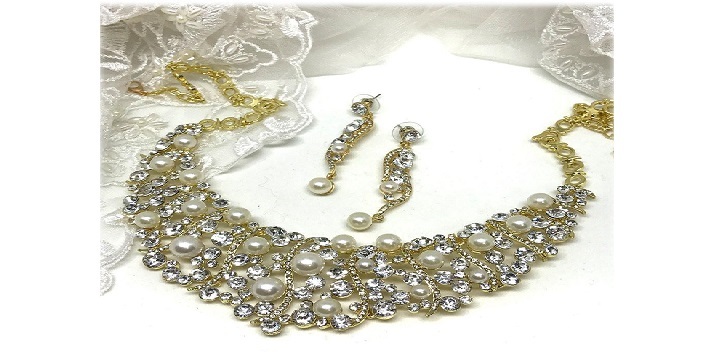 So, it becomes important that every bride-to-be should be aware of the various types of necklaces, so that she can choose the right one for the various wedding functions. Rani haar is best known for its royal look. 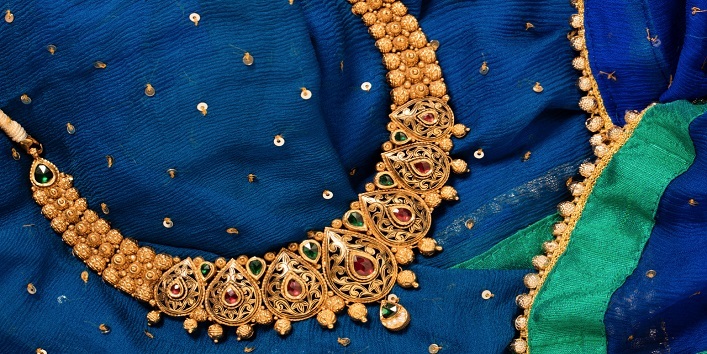 This necklace is usually made of kundan with many other precious gemstones like diamonds, emeralds. This necklace type also displays the work of enamel and minakari. 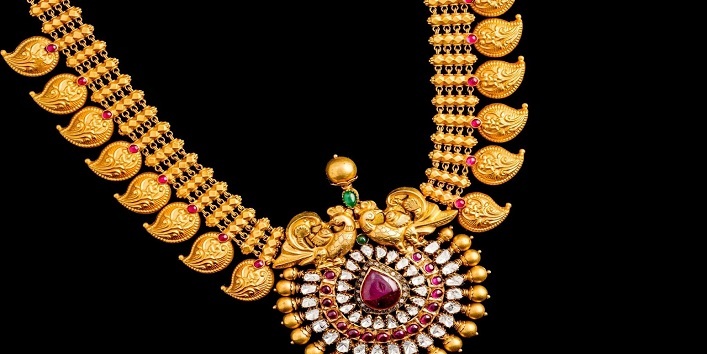 Addigai is a closed style necklace in gold. This necklace is made in various designs and floral motifs studded with rubies, diamonds, and emeralds. The choker is a close-fitting neckpiece which settles high on the neck. This neckpiece is available in two forms either the one band or in the form of several layers of gems and pearls. It goes well with the off-shoulder, low-neckline attire. And for the bridal look, you can wear it for any of your functions from cocktail to the wedding lehenga. 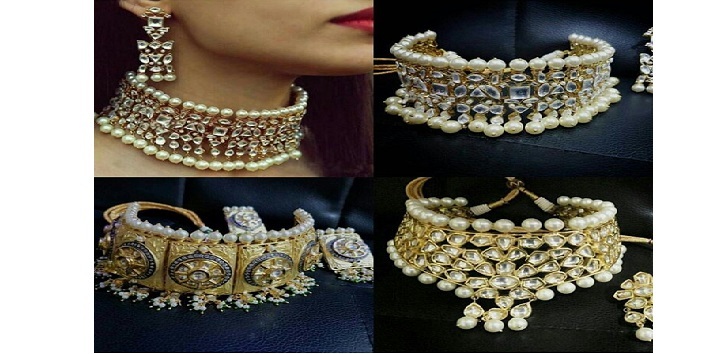 And if you are opting for a traditional look then you can try the gulbandh, which is pearl choker with kundan gold plates. Lariat is a versatile neckpiece that can be worn in different ways. It is known as the longer version of the rope necklace and Sautoir. It does not usually contain clasps at the end, but may have a loop on both the ends. You can easily pair this with your cocktail dress. Bib necklace is designed with numerous gems, pearls, and precious stones which one can opt for an elegant look. It goes well with the gown dress and off-shoulder attire. And one should try to keep other jewelry subtle when they opt for bib necklace. 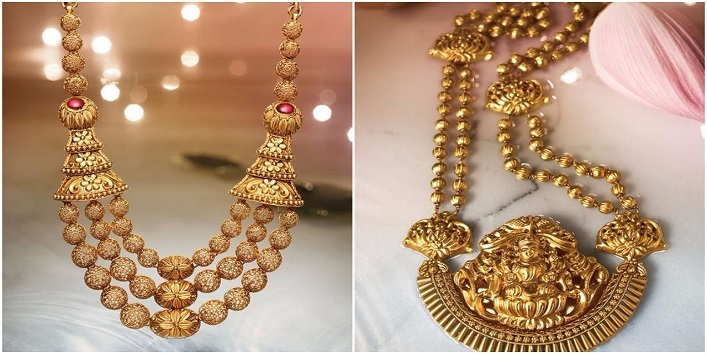 Mango haram is a traditional necklace that hails from South Indian region and it looks grand because of its artistic mango motifs which are placed on the outer side of the necklace. This necklace is available in various sizes as per your requirement and budget. 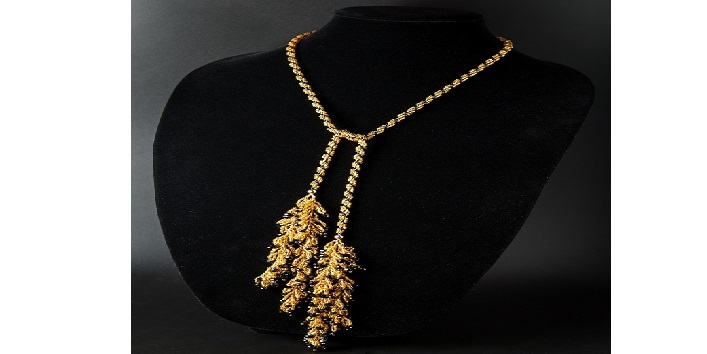 This neckpiece is made up of pure gold studded with precious stones and diamonds. And if you are wearing a Kanjeevaram saree, then this piece is a must-have. 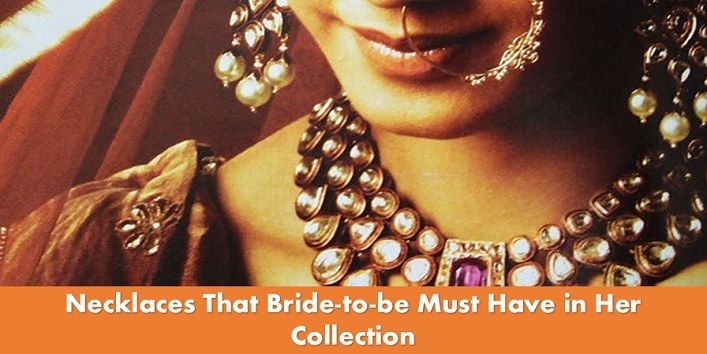 So, these were the few beautiful necklaces that every bride must have in her collection.